Discover our cellar doors and tasting rooms, winery restaurants, vineyard accommodation, wine tours and experiences. 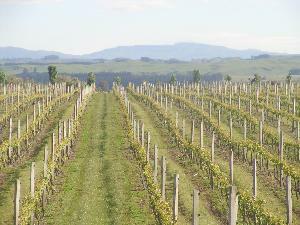 New Zealand's distinctive winegrowing regions each have unique soils and climatic conditions that are expressed in the wines produced. Our temperate maritime climate allows a wide range of wine varieties to flourish. Whatever your preferences, we’re sure to have a wine to suit your palate. Dig a little deeper into how our winemakers and grape growers are helping their natural environment, local businesses and communities to thrive. New Zealand’s wine industry is one of the youngest in the world, but the 'can-do' attitude of our pioneering winemakers and growers put in place a solid base for our innovative, world-class industry to flourish. Keep up-to-date with our latest press releases, reports and statistics, flick through image and video galleries, and connect with us socially. Browse our calendar of world-wide events where you can taste New Zealand wine and meet the personalities behind the brands. Hawkes Ridge Wine Estate is a family owned, boutique winery situated 20kms West of Hastings in the Hawkes Bay. Hawkes Ridge encourages wine drinkers to "try something different!" Along with more well known varieties Pinot Noir and Pinot Gris we produce lesser known varieties Viognier, Semillon and Tempranillo. This gives wine drinkers the opportunity to try some wine varieties that they may not have tasted before. The family at Hawkes Ridge are passionate about wine and chose to plant varieties that they enjoy drinking themselves and that are suited to the site. Our cellar door is situated on our vineyard and olive grove and provides a relaxed setting where you will meet the Hawkes Ridge family, sample some unique wines, eat Hawkes Bay’s best platters and take in the beautiful surroundings.